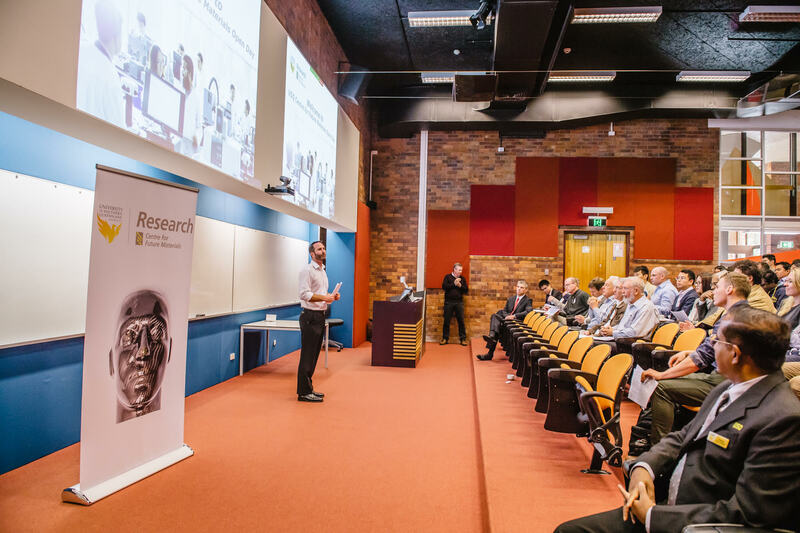 The University of Southern Queensland (USQ) has showcased its leading composites research and development when the Centre for Future Materials (CFM) held its inaugural Open Day on Monday. The first day of presentations and demonstrations was attended by more than 140 delegates and external industry representatives from a range of sectors including aerospace, defence, space, transport, mining and constructions. The program included a host of industry-focused research presentations and posters highlighting the Centres’ four priority areas; manufacturing next-generation aerospace composites, pioneering functional composites, advancing civil composite applications, and developing green geopolymers. It also included included keynote speeches from two industry guests who gave an insight into their sectors, highlighting the challenges currently being addressed and future opportunities in the defence and rail infrastructure, respectively. Dr Paul Callus, Deputy Director S&T JSF – Air Vehicle Systems, Defence Science and Technology Group, Australian Department of Defence delivered a speech titled “Challenges in Defence Aerospace Materials”. Murray Adams, General Manager, Austrak Pty Ltd talked about “Opportunities in Railway Materials and Structures”. The one-minute quick-fire presentations saw 29 researchers deliver elevator pitches in as many minutes, providing delegates with a snapshot of all research activity at CFM.